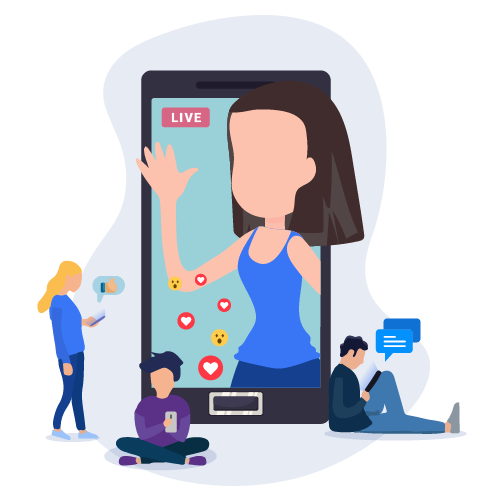 Broadcasting to the largest audience anytime, anywhere, with camera in your pocket, allows you to connect in real-time with your Friends and Followers instantly. It is an easy and Interactive way to increase User Engagement in the Community. 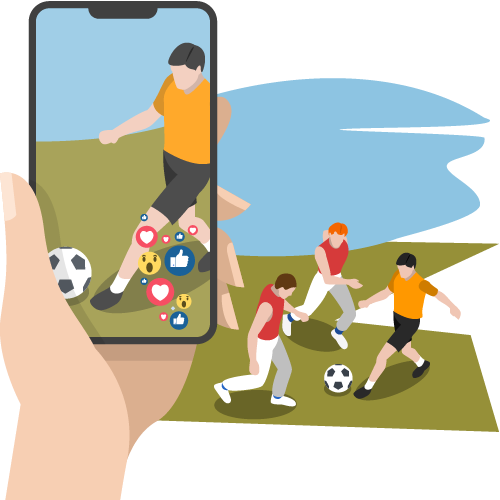 Either you have a community based on Social Networking, Sports, Events or any you can think of, Live Streaming will definitely bring life to your Community. Captivate User Engagement amongst your users with a Fun, Easiest and Powerful way. Get Live Streaming in your community and achieve new heights. Select Audience Privacy from Pre-established lists and go live with set f friends. Tag your friend you’re enjoying your party with and who is part of your video. Add Location you’re going live from or want to highlight the place you are holidaying at. Push Notifications sent to required audience to invite them to watch and engage in your live video. Viewers give reactions and leave comments on Live Videos and interact with the broadcaster to share their views. Live videos when shared in feed, remain there indefinitely. Just as if they were regular video feeds. When you start Live Broadcast, audience you are going live with gets notified using Push Notifications to participate in your video. 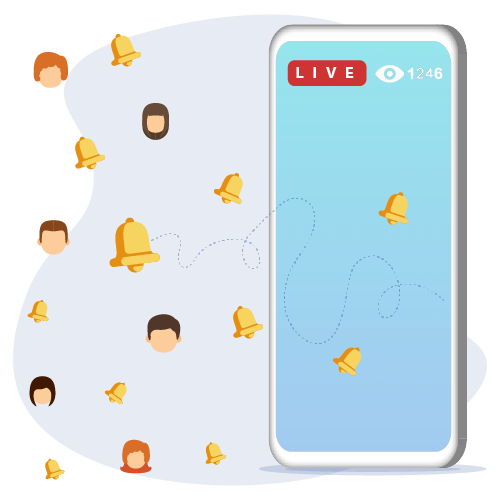 Either you are promoting your brand or Services or broadcasting an offline event, using Live Streaming, it allows users from home to participate, interact and share their views. Whenever you’re reading an article or blog-post, you’re reading work of the past. 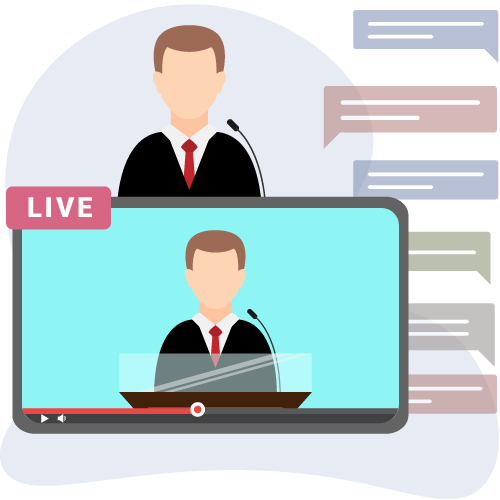 Live Streaming offers an ability of real-time interaction and join a conversation directly with the broadcaster. The internet is an indefinite large place. Live Videos reach large number of audience instantly. Live Broadcasted Videos even reaches to not so active audience who wouldn’t have come across your video in your through the normal video posts and the trick is again notifying users via Notifications. Audience definitely prefer to watch raw and real videos rather than highly edited and scripted ones. Aside from this, Broadcasting provides a sense of excitement to audience as it makes them feel inclusive and exclusive simultaneously. Live Streaming is Remarkably Powerful Feature for delivering content and to keep your Community Alive. Include Live Streaming in your community and make the best of it. 1. What is being used for Live Broadcasting? We are using a 3rd Party SDK to integrate Live Broadcasting / Streaming with iOS and Android Mobile Apps. 2. How long Live Streaming setup takes ? After you provide us all the requested details, it will take us 5 working days of time for each app that will include Server set-up, App Building and QA of the App. 3. What all details are needed to get started with Live Streaming ? 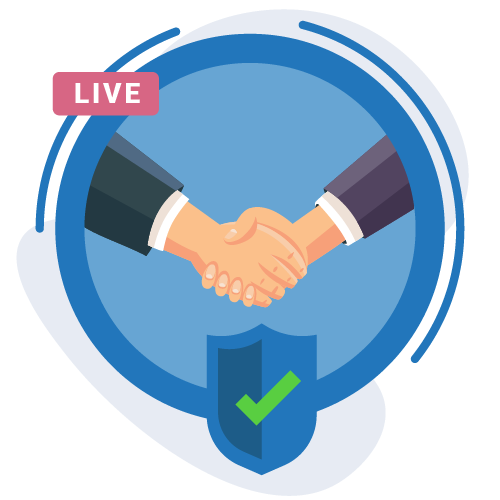 When you purchase Live Streaming Service, you will receive an email requesting to provide us few details by opening a new support ticket. Details will include Website Details, SSH / FTP Details etc. 4. Can I save my video after I end my Live Stream ? Yes. When you end Live Streaming, you will be asked if you want to share the video in Feed / Story or you want to discard it. 5. Can I share my Live Video in both Feed and Story ? Yes. If you have Stories Feature in your community, you will see both the options Story and Feed to share the feed in. You can share in both, or in any one of them as per your choice. 6. What is the maximum duration of Live Streaming ? Admin can restrict time duration for which app users can go live. Users will get to see a message with allowed time limit for live video and after that time limit live video will stop in itself. 7. Where does all Live Videos save ? All the videos save at your server, just like normal videos. 8. Can I go live with particular set of audience ? Absolutely! You can go live with the audience of your choice. You can go live with All your community Members, only with your Friends, Particular Network and with Specific Users by creating lists. 9. How do I stream videos with High Quality? 10. How do I find number of users watching my live video ? When you’re live, you can see an eye icon along with the count on top-left of your phone screen. Clicking on it, you will get details of all the users watching your video. 11. Could you provide us with a list of apps that are using Live Broadcasting ? Sure. You can explore this feature in our Live Demo iOS and Android Mobile Apps.